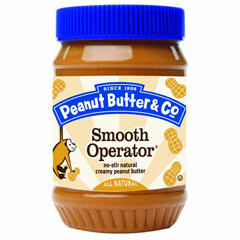 YouTube Cookies – Slice & Bake! Hey guys, here are Slice & Bake Youtube cookies. Enjoy! Facebook Cookies – Slice & Bake! Voila, here are Slice & Bake Facebook cookies. Enjoy! Instagram Cookies – Slice & Bake! Double tap for Instagram Cookies. It’s my humble gift to you all. Share these slice & bake cookies with your Instagram besties and enjoy Insta tea time! Ultimate Valentine Day’s Cookies! 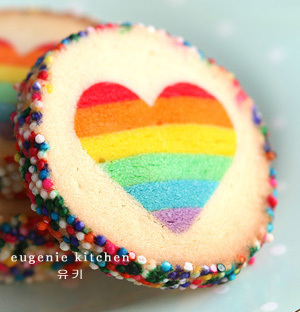 Here come rainbow heart cookies called “Eugenie Cookies.” Enjoy! Hi guys! I made delicious strawberry meringue cake for new year. The meringue beautifully goes with whipped cream and vanilla strawberries. Hi, I’m Eugenie. Can’t believe that we have only 4 days left in 2014! I wish you finish 2014 well. And now I am giving you this rainbow meringue cookies post to enjoy. Happy holidays! Hi everyone! Those super cute Minecraft Creeper santa cookies will make a perfect holiday gift and treats for all Minecraft fans. Also they will be excellent Christmas tree ornaments. Easier than you think. Learn how to make 30-layer beautiful and delicious mille crepe cake.